Aging is one of the top concerns among women today, and even many men. And while many factors contribute to aging, your diet plays a role. It’s important that you eat enough nutrient rich food to give your body what it needs to look its best. While there aren’t any specific foods that will make a huge difference, generally maintaining a healthy diet will help. Pineapple is one of the best sources of vitamin C you can eat, even better than oranges believe it or not. Pineapple’s vitamin C content rivals most all fruits, in fact. The fruit contains over 100 percent of your daily vitamin C needs in just one cup. 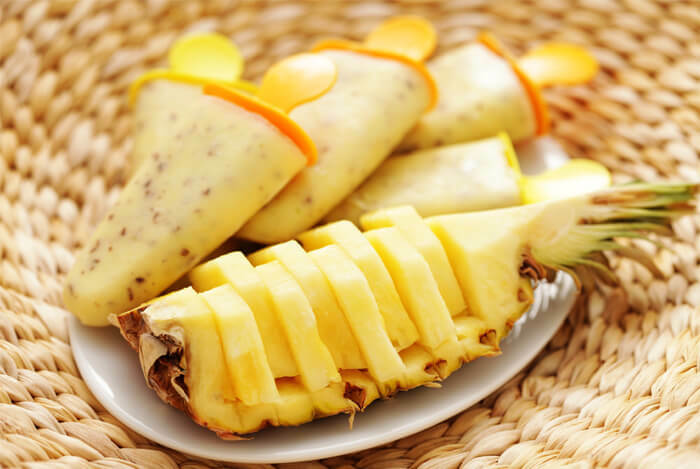 Fresh or frozen pineapple will do, but skip the canned and dried varieties which often come with added sugars or oil. 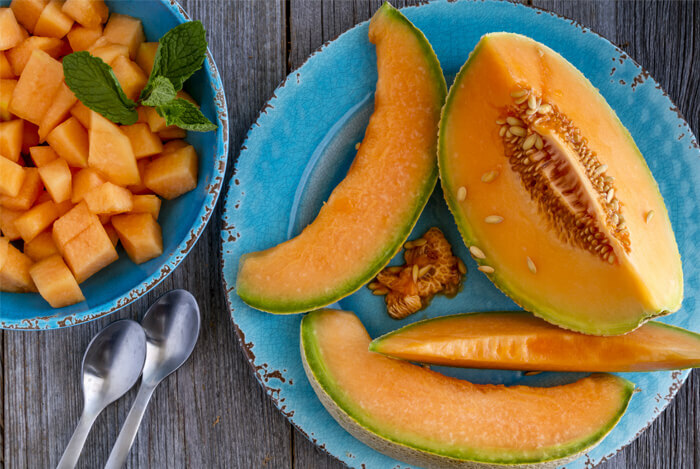 Cantaloupe is packed with Vitamin C and it’s high in beta-carotene, the orange pigment that gives cantaloupe its beautiful color. Beta-carotene is an antioxidant found in many green, orange, and yellow colored fruits and vegetables that our bodies convert to a usable form of Vitamin A. Beta-carotene is one of the top nutrients linked to better skin health, and it has been shown to prevent certain types of cancer too. 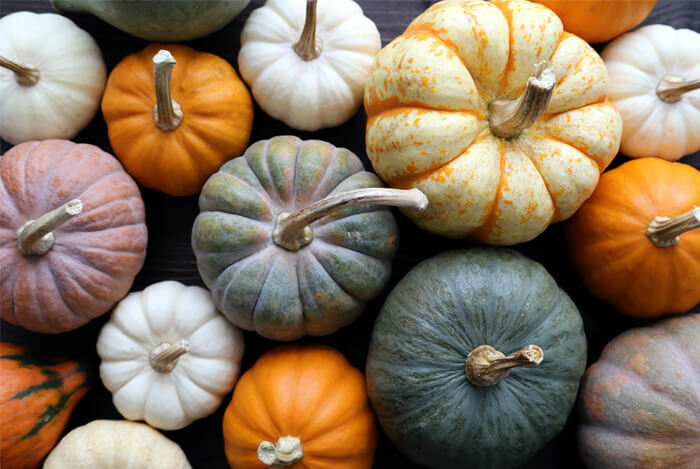 Pumpkin is one of the most overlooked foods any of us can eat. 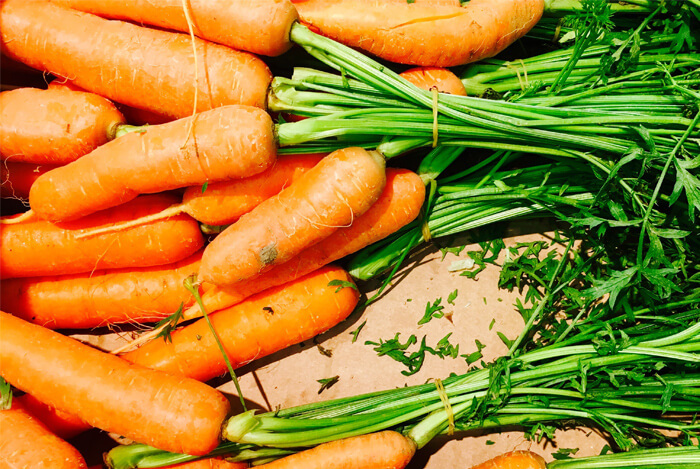 It’s extremely high in beta-carotene, it’s a great source of iron, fiber, and it’s a good source of Vitamin C.
Like other orange-colored fruits and veggies, carrots are loaded with beta-carotene. Carrots are also one of the best sources of vitamin C among all vegetables, and they’re high in water, fiber, and low in sugar. 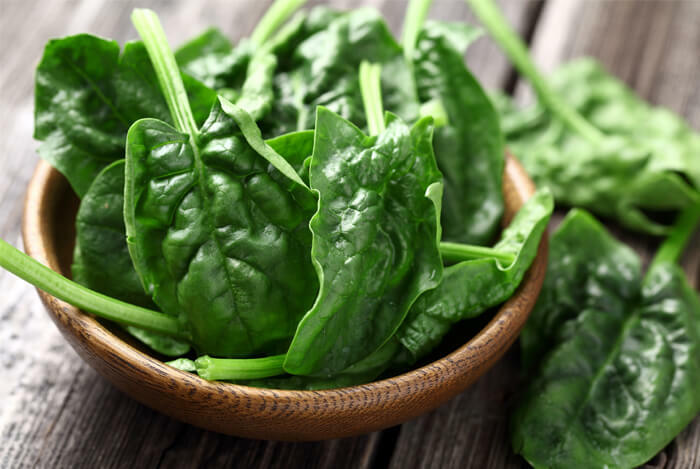 Spinach is one of the best foods you can eat for so many reasons, but it’s also a top weapon for gorgeous skin. All leafy greens are high in minerals that protect the skin’s cellular structure; they’re also a great source of Vitamin C and beta-carotene. Kale is a wonderful source of vitamin C, minerals like iron and magnesium, it’s a great source of beta-carotene, fiber, and zeaxanthin, a powerful antioxidant. 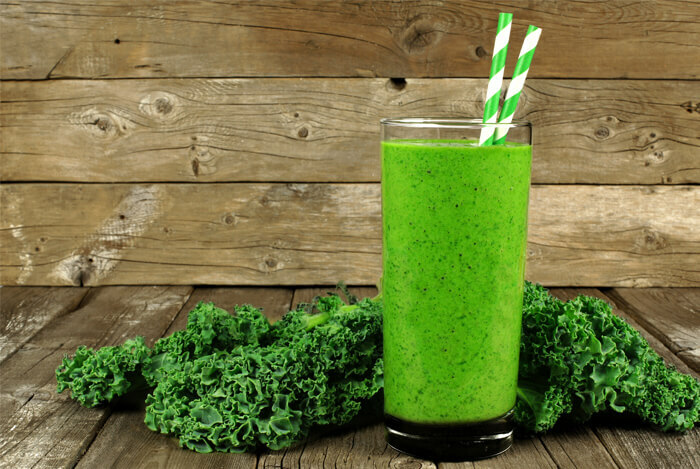 So when in doubt, add a little kale to any meal or even toss it in your next morning smoothie. 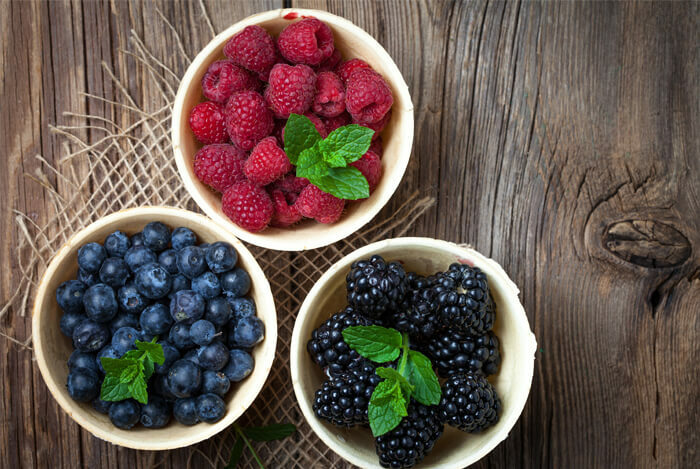 Berries are truly in a class of their own when it comes to fighting off aging. All types of berries help reduce fine lines and wrinkles because they’re incredible sources of vitamin C, antioxidants such as anthocyanins, skin-boosting minerals, and fiber that’s necessary for digestion. Blueberries, blackberries, strawberries, cranberries, and raspberries are all affordable and common berries you can find at your local grocery store either in fresh or frozen form. That’s right, you can have your chocolate and eat it too! Minerals such as zinc, iron, copper, sulfur, magnesium, and potassium all help protect the skin’s cellular structure and other bodily processes, such as digestion, energy, blood pressure, and blood sugar levels. 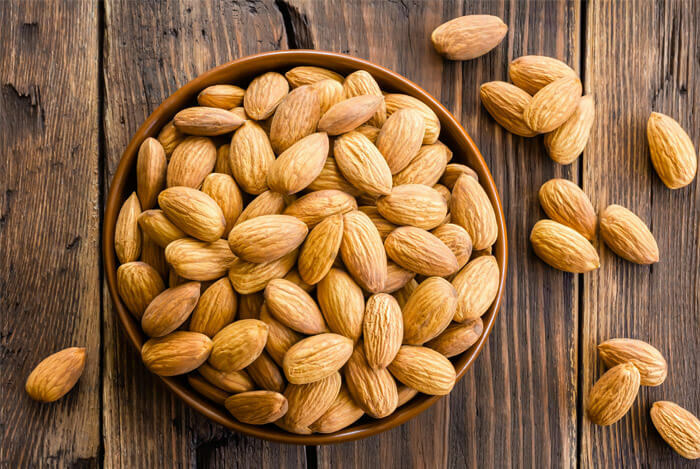 Raw almonds are rich in Vitamin E, magnesium, iron, zinc, copper, monounsaturated fats, and fiber. 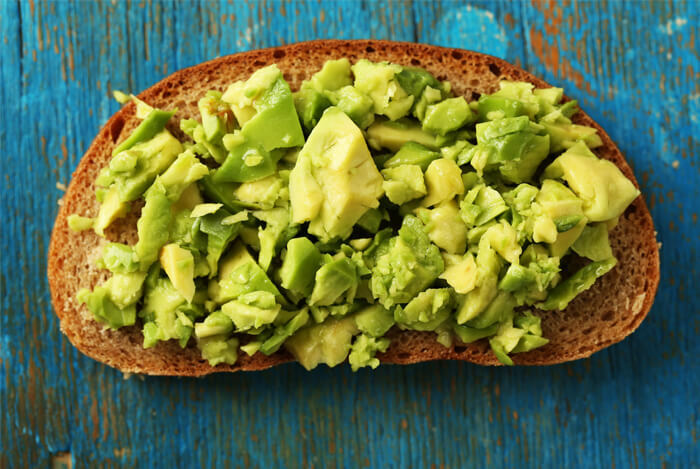 Avocados are so good for your skin, heart, and brain. These fatty fruits are great sources of Vitamin E, water, fiber, chlorophyll, B vitamins, and healthy fats that protect your skin’s cellular structure. Avocados are also extremely affordable, and they can be bought in either conventional or organic form depending on your budget since their thick thins protect the inner fruit from pesticides. 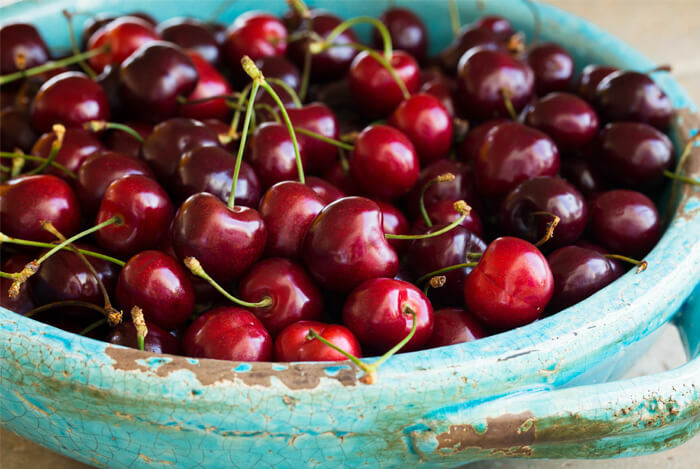 Dark cherries can be bought fresh or frozen, and they pair wonderfully with cacao, spinach, and a few almonds or almond butter in a smoothie. 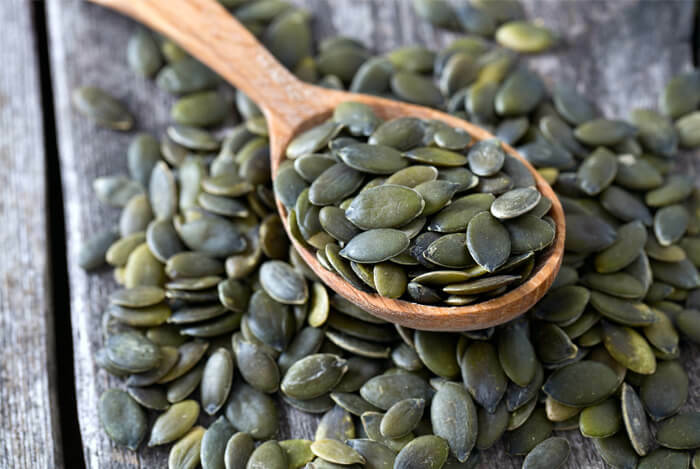 If your skin and nails could use some help quickly, add some pumpkin seeds to your diet pronto! Pumpkin seeds are one of the best sources of zinc. 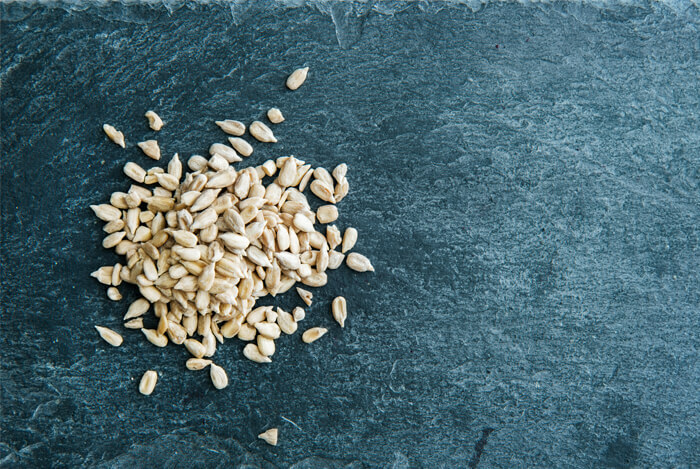 Sunflower seeds are a very affordable source of vitamin E, zinc, iron, magnesium, and protein. The seeds are also loaded with fiber, lower in fat than many other seeds, and can help reduce stress in the body. Along with these foods that can help reduce fine lines and wrinkles, be sure you also keep your cells hydrated by drinking plenty of water and consume lots of green vegetables and leafy greens. 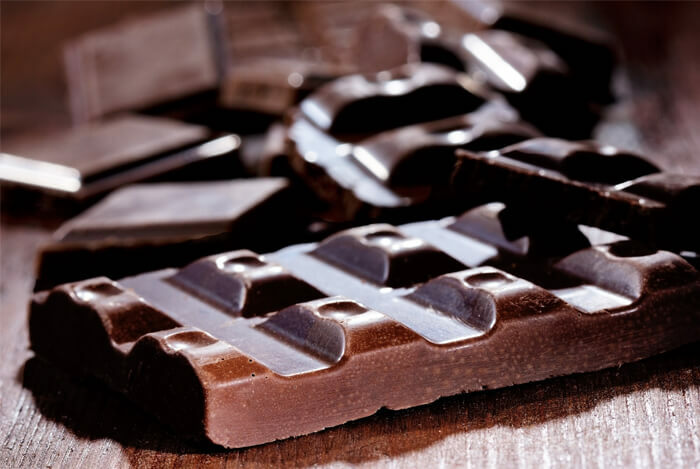 What’s your take on these foods for improving skin health? Have anything else you’d like to share? Let me know in the comments below!